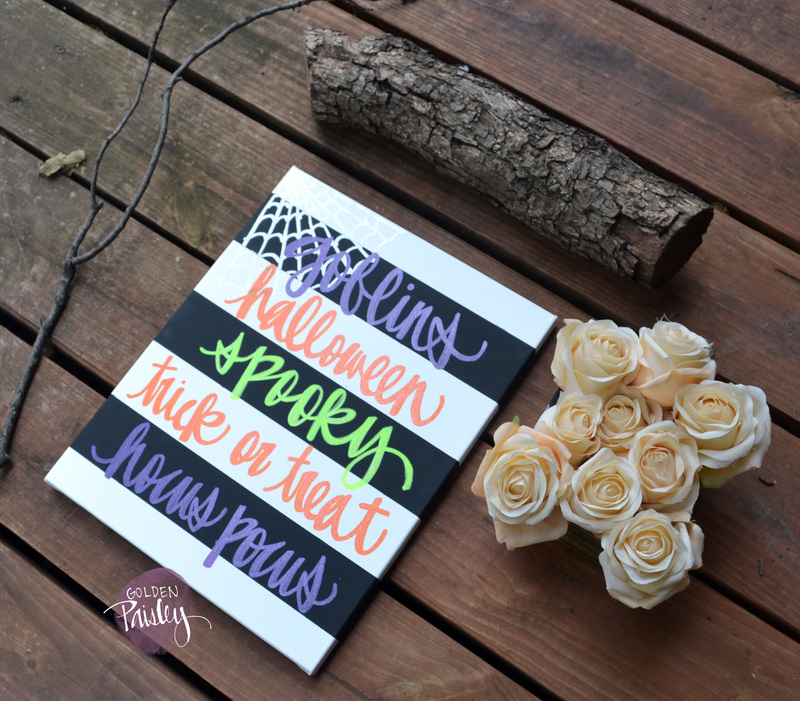 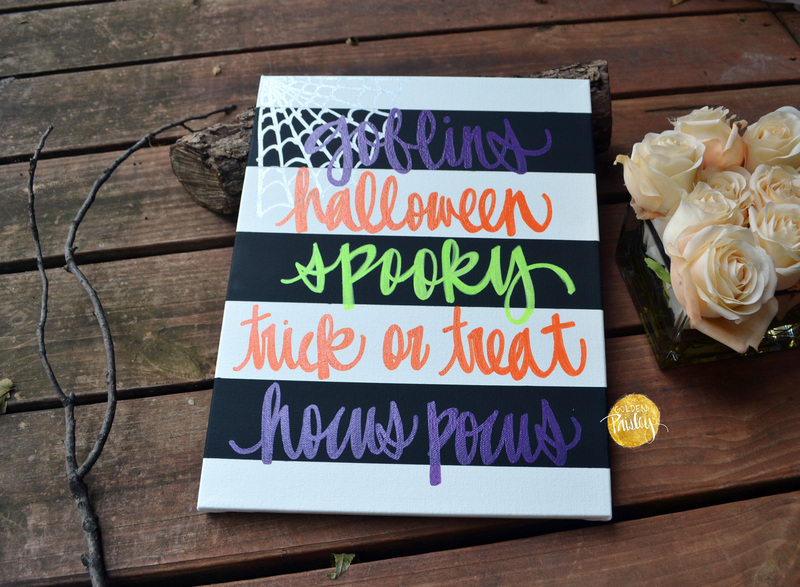 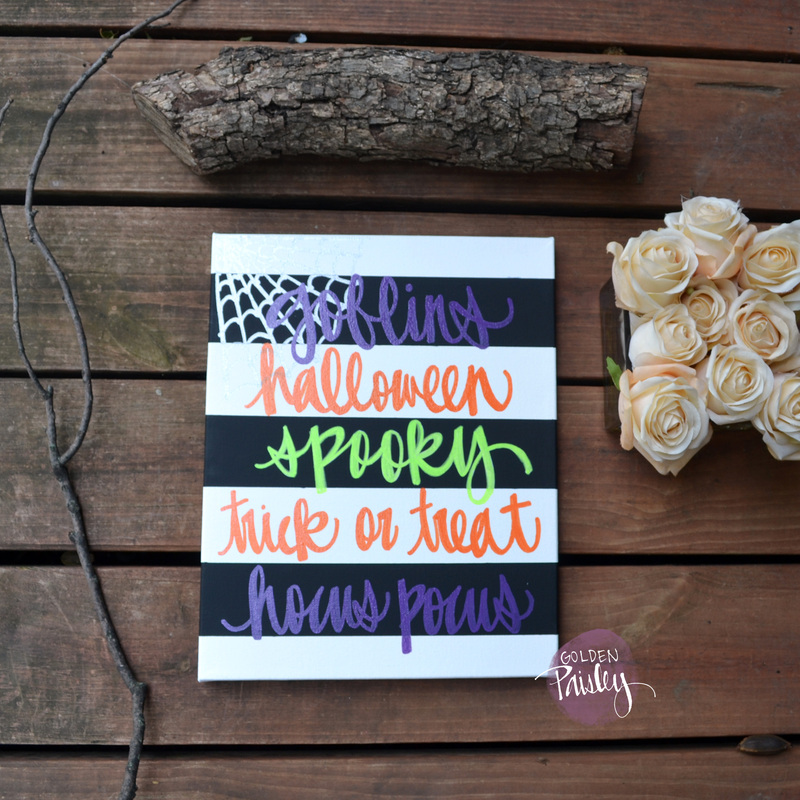 Love the words on this fun Halloween canvas! 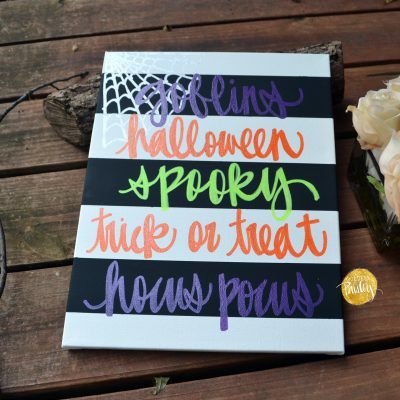 This canvas painting comes in several sizes, and is the perfect festive home decor for the beginning of the fall season! With classic, spooky Halloween colors and festive Halloween words listed together, this canvas is perfect for the Halloween lovers out there! 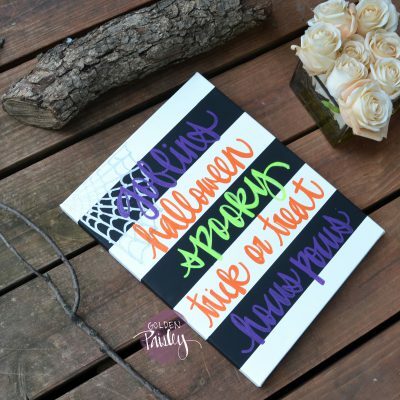 The canvas has completely hand painted black and white stripes, then a hand painted metallic silver spiderweb in the top left corner, and hand painted text on each line with festive Halloween words. 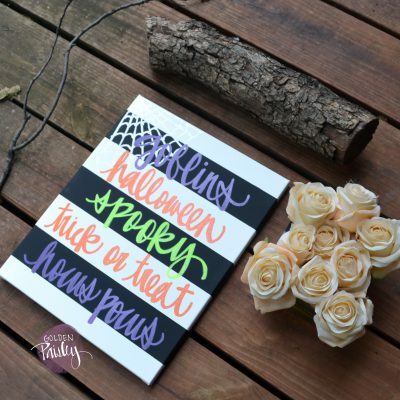 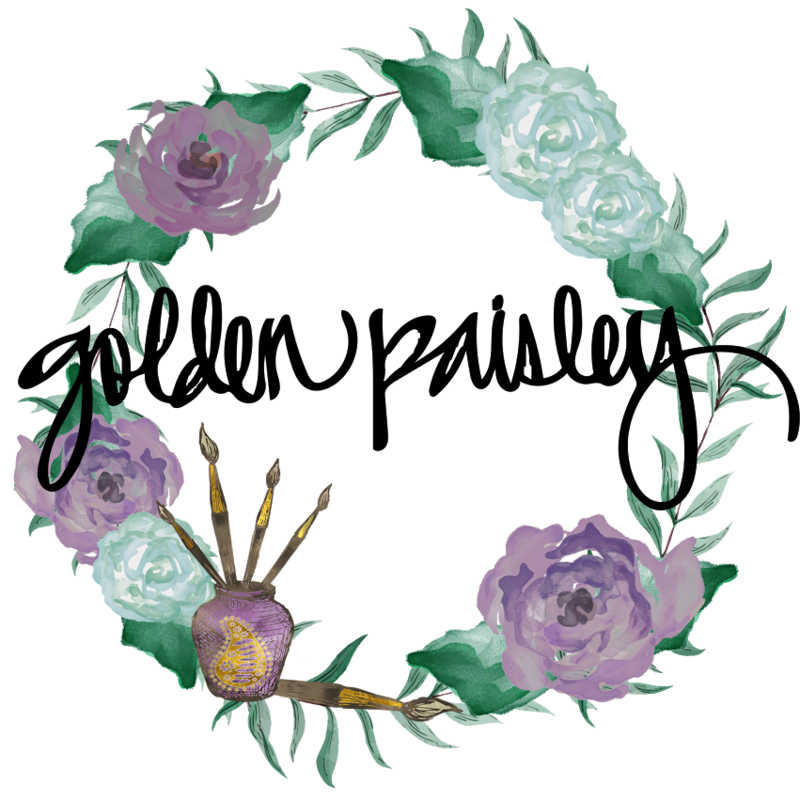 Enjoy this for the holiday season, or give it as a fun gift for your Halloween party host!